The Games They Play: Should Mainstream Games Journalism Be Trusted? Sorry, Mr.Keighley. I actually quite enjoy your hosting. You’re an aspiring movie critic and one day you happen to make contact with your favorite director’s PR person, Elizabeth or Liz as she likes to sign her emails. You tell her that you have a small site where you eruditely and eloquently write about your favorite art form. Liz seems receptive, knowing that they could benefit from the extra coverage and confident their film will be well received, she confirms that they will send you tickets to the prescreening of the film. The tickets should arrive by mail a week before the screening. You’re excited, calling all those who would care to share this small victory for your burgeoning criticism website. You wait. And wait. And wait. It’s three days before the screening and the tickets still haven’t arrived. You begin to worry that a shipping mistake occurred or even worse your early access was retracted. You email Liz. No reply. You weep inside, curse the sky, and kill a six pack of IPAs to mend your broken heart and ego. You wake up the next day, head pulsing and having come to terms with the disappointment, although the thought of Liz leading you on still stings worse than your hangover. We here at Dialog Wheel had an analogous experience with Rockstar recently. The “prescreening” in question was, of course, a review copy of the Grand Theft Auto V. As could be inferred by this opening anecdote, our hopes and dreams were left crushed like a pedestrian on a Los Santo’s sidewalk. Well before this melancholy hit (let it be known that I planned to write to this article prior to Rockstar standing us up) I came to suspect, like many before me and with a new level of immediacy, that in the world of big game publishers and big profit publications there must be a conflict of interest. This club, this weird club of pals and buddies that make up a fair proportion of games media, needs to be broken up somehow. They have a powerful bond, though – held together by the pressures of playing to the same audience. Games publishers and games press sources are all trying to keep you happy, and it’s much easier to do that if they work together. Publishers are well aware that some of you go crazy if a new AAA title gets a crappy review score on a website, and they use that knowledge to keep the boat from rocking. Everyone has a nice easy ride if the review scores stay decent and the content of the games are never challenged. Websites get their exclusives. Ad revenue keeps rolling in. The information is controlled. Everyone stays friendly. It’s a steady flow of Mountain Dew pouring from the hills of the money men, down through the fingers of the weary journos, down into your mouths. At some point you will have to stop drinking that stuff and demand something better. It’s fitting that in the world of games there’s a meta-game being played, a game where the achievements and highscores involve obtaining quarterly profits from you the gamer. All the money involved seems to limit and distort the overall honesty of so called “games journalism.” I’m weary now of using the term “journalism” because so much of game coverage is about hyping up games, essentially in-depth advertisements meant to create awareness of a forthcoming product. Journalism has been traditionally grounded in objective reporting, provocative arguments, and unearthing “the truth.” Mainstream games journalism accomplishes only one of these: Objective reporting, a task easy enough when it consists of retelling readers and viewers that you “shoot up to 16 human controlled players with guns” and can “customize your loadouts.” Most of this “reporting” simply amounts to another avenue of hype creation or aka free publicity for video game publishers. One of the challenges we’ve faced here at Dialog Wheel is trying to find an interesting way to compose the game critic’s dreaded nemesis “previews” that are more than just bullet points and add something critical to the conversation of an upcoming game. We’ve for the most part failed. I’m inclined to say it’s a lost cause, as previews are simply commercial in their nature. That being said, previews exemplify this notion of playing ball with publishers, as the biggest games almost always receive the most favorable coverage, probably guaranteeing future media access to that publisher’s IPs. 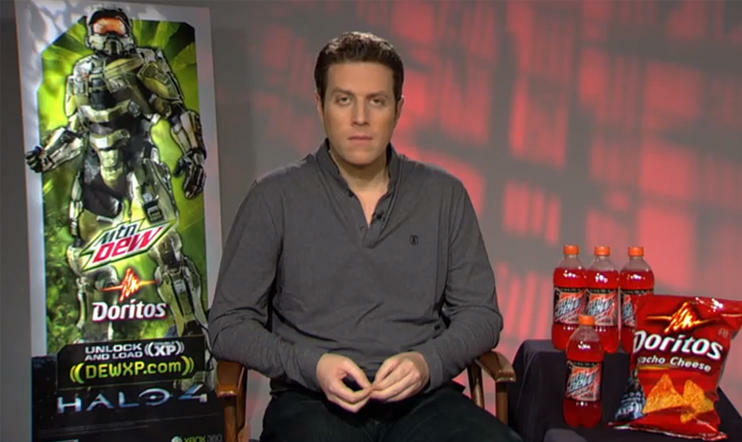 The Dorito’s Pope, or Geoff Keighley, a renowned journalist who has on several occasions professed his desire to do serious investigative journalism within the game’s industry, has become a symbol of this suspected corruption. While it’s a bit ridiculous to say that the publishers and media outlets are in bed together, the image of the commodity sandwich Keighely is at the center of does seem to perfectly capture the plight of games writing. Again, this isn’t a conspiracy or outright corruption I’m talking about. We must remember that most games journalist are fans just like the players, albeit ones who usually have a talent for communicating information about games and critically dissecting them with some air, however illusionary, of objectivity. The sway of publishers is much more subtle, who not only play off of the vital business relationship that media outlets rely on, but also present these journalists with content that is designed to transform them into cheerleaders. In any case, it seems beneficial to maintain a healthy skepticism regarding these publisher and publication romances; it’s unlikely that they have no effect whatsoever. When GTA V gets no less than a 9.5 from a certain media outlet, I for one, will wonder how much of a subconscious influence their week long exclusive access had on their ability to thoroughly and “objectively” evaluate the game. 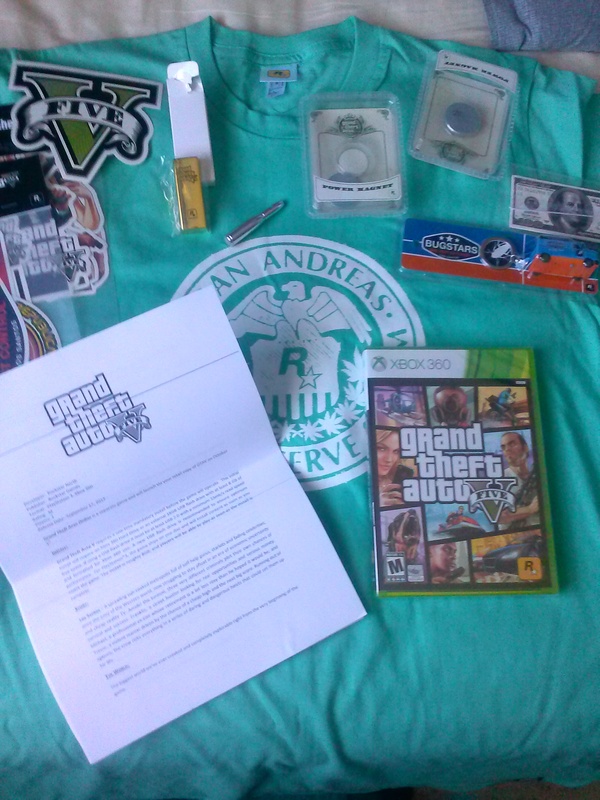 Editor’s Note: This argument still stands, but for transparency’s sake and out of respect for the people at Rockstar I have to say this just arrived today (9/17/2013).